Discussion in 'Non Canon Roleplay' started by CaptainRandom97, Aug 20, 2017. 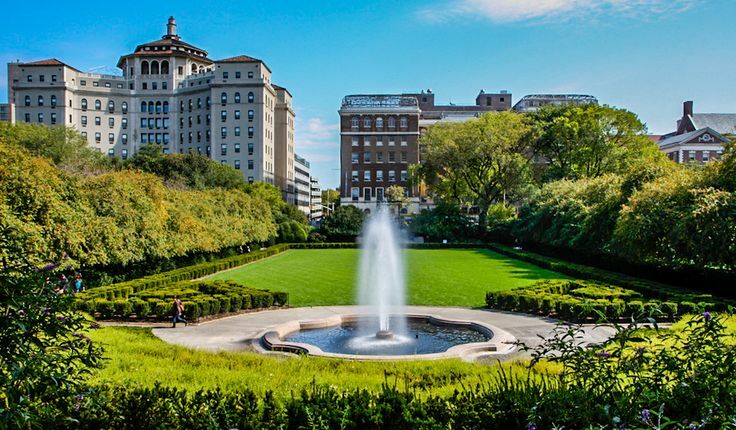 "You are corgiaglly invited to the Wedding of Kamala Khan and Adam Stark" Your invitation reads, "The wedding will be at the Conservatory Gardens in New York City's Central Park with Reception at Tavern on the Green afterwards on the 5th of April. It would bring us much joy if you could join us for this magical day for the both of us and all our families." And with that your car would pull up a valet taking your keys. A butler stood at the regestry where you could see into the gardens and bizarre meeting of people. 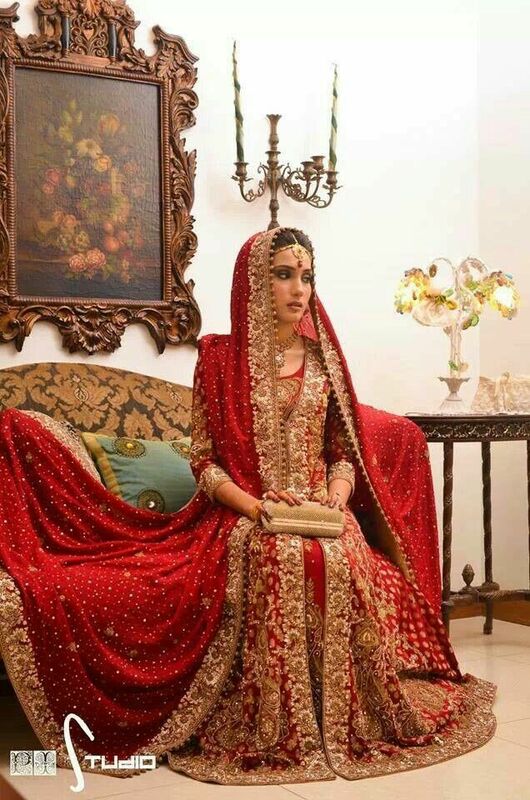 The decorated garden was populated with Pakistany Americans all in traditonal dress and superheroes, dressed in formal were, some with masks, some without. Characters such as Samuel Alexander lucking out with Khan cousins, Rocket Raccoon trying to stop Groot from drinking out of the garden fountain and Rick Jones entertaining the kids with stories. 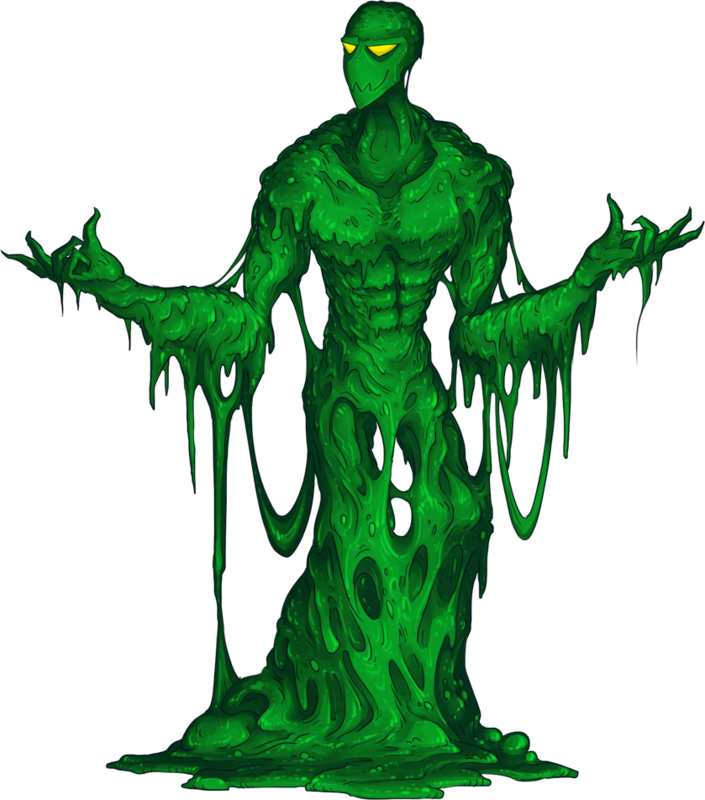 As you entered the party none would notice the green cloaked figure, dressed in armour watching from his limo, waiting for his moment, a strange device buzzing in his hands. Welcome to my new marvel rp and don't think this is a happy day because things are about to go very badly. 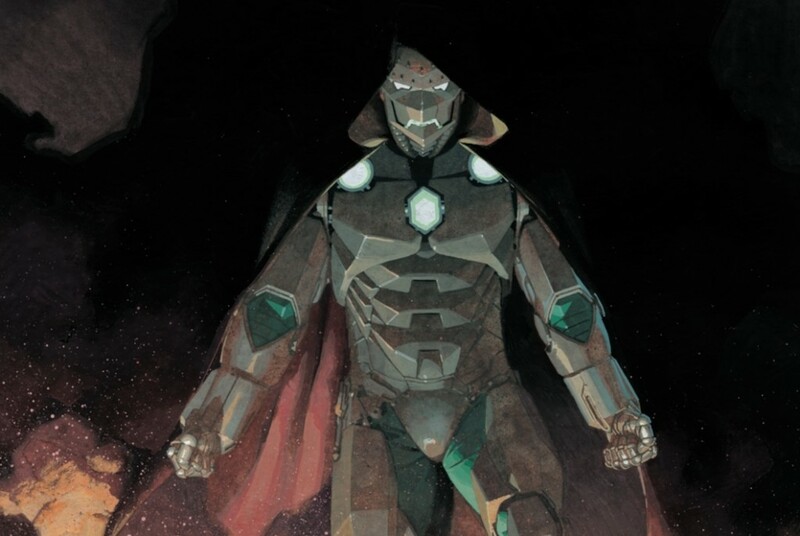 In this event seven years will be erased as the world around our party guests will be turned into the world of Doctor Doom, superheroes dead by the hand of his greatest creating, Aramgedon, a super powered android with one purpose, to destroy all heroes. Powers:Technokensis - The ability to control technology, absorb it, hack it and become apart of it. Super Intelligence - because of his link to the internet he is super intelligent. Doom World abilities - He is destroyed to hunt all heroes and help control his fathers empire. Personality: He is a little naive to the ways of humanity have once been a robot and only being alive for six years. He is intelligent a caring and willing to do anything for his world. Doom World Novus is known as Armageddon, he is emotionless, logical and destructive. Appearance: 5'9 with a muscular build, he has two discolored eyes with a white streak in his hair. Clothing looks ripped up a bit but he looks perfectly fine. Demonic Transformation: Robbie Reyes possesses the supernatural ability to transform into a being similar to the Ghost Rider. Superhuman Strength: The Ghost Rider possesses strength that exceeds the limits of any normal human. Superhuman Speed: The Ghost Rider is capable of moving at speeds that exceed the limits of any normal human. Superhuman Durability: The Ghost Rider is highly resistant to injury and is capable of withstanding great impact forces that would greatly injure or even kill a normal human. Regenerative Healing Factor: Ghost Rider is capable of regenerating from injury faster than a normal human. Pyrokinesis: The Ghost Rider possesses the ability to generate and project flames from his body. Although never stated, it is likely that the fire Robbie generates is Hellfire. Hell Charger Linkage: Robbie's supernatural augmented being, originating from his satanic Uncle Eli, is connected with his car. He can summon his car to do various fire attacks and perform ramming action. Intangibility: To some degree, Ghost Rider can completely phase through his car and other objects or places. He usually does this to scare and attack the enemies he's facing. Teleportation: Unlike other Ghost Riders, Robbie possesses the ability to teleport short distances. The Hell Charger is linked to his ability to port from one place to another, acting as a hub. Portal Creation: In addition to teleportation, he can also generate portals. Condemnation: Fueled by the wrath of his Uncle Eli, his main objective is to kill a list of crime lords. Robbie's Ghost Rider can summon a hellish spire that drags down his enemies to Hell. Personality: Most of the time, a lot of people see him as a well-polished individual. Receiving good performances in school and endlessly searching ways to earn money for a better livelihood. However, there are times where he would do risky things and decisions(mostly evident from the pieces of advice given by his Uncle Eli) endangering himself in the process such as attending illegal street races. This is more evident during his time as the Ghost Rider. A talented young mechanic with a penchant for anything with an engine and electronic music, but above all else he loves his little brother Gabe. When his plan to get Gabe out of East L.A. goes fatally awry, he is resurrected by the Spirit of Eli Morrow into the supernatural being, the All-New Ghost Rider. Went to Academy of X. 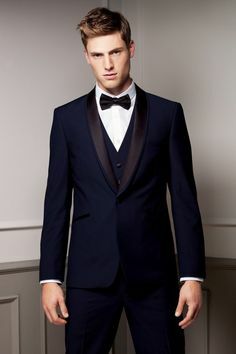 Wedding: He would be wearing a tuxedo, still having his arc reactor. Doom World: Greying hair, with a large scar on his chest where his arc reactor used to be. He still looks relatively the same, though all his suits look worn. He'd be wearings jeans, boots, and a long sleeve shirt. Maybe a hat as well. He has scars on his body, cuts too. Powers: No powers, just suits. Personality: Protective, egotistical, sarcastic. Everyone knows Stark. Personality: Alexa is mostly known for her quiet demeanour as she almost never leaves the house let alone go to a gathering. There are very few she speaks to and she prefers to keep her responses short and sweet, though she has an affinity for the more peculiar people. Many say she is insane or mentally unstable due to her tendency to talk to herself, meaning quite a few keep their distance. Alexa is much more than her quiet demeanour, she is incredibly brave and strong minded due to having to grow up hearing the voices of the dead and sometimes even seeing them before she gained control of her powers. Alexa is quite protective of what she has, though she keeps her possessions to a low minimum. Born to two parents in the French country side, Alexa grew up as normal as her parents could keep her though she was soon sent to an orphanage due to how often she had episodes due to her abilities at the age of 4. She had a relatively calm year, but when she turned 5 she had an extreme episode in which she, whilst sitting in the orphanage garden, began to speak fluent English to a visiting American family, telling them about the old owner of the Orphanage who'd died and was buried in the garden they were standing on. She told them things she wouldn't have known, if not for the man telling her himself. She then proceeded to speak with his voice to the couple, scaring them from the orphanage. She was soon after removed from the Orphanage and given to a School for Girls that was incredibly strict, she was often beaten for having episodes in class or disturbing girls during her sleep, often speaking in peculiar tongues they didnt understand, one very common language being Latin, just before English. As they grew up the other girls learnt English incredibly slowly, though Alexa stormed ahead due to her friends on the other side (Wink wink) and soon found herself at the top of her class. Now in her early teens she'd learnt to tell when she was having an oncoming episode and would excuse herself from the class, though soon she also began to change her body sometimes her nails growing to claws or her eyes turning to slits. This was followed by dreams of future occurrences and then, the moment that put all eyes on her, manipulation over dark matter. Alexa was then expelled due to her seriously injuring a teacher and several students, now causing her to be homeless and unwanted. She wandered the streets, being able to hold her own due to her uncontrollable and immense power and, as a young 14 year old, had the guilt of several deaths on her conscious. She quickly slipped into extreme depression, pushing her to do incredibly risky and idiotic things including making an attempt to bring someone back from the dead and, though successful, was incredibly dangerous as it almost caused her to die and the woman quickly returned to the grave in the middle of a street. Whilst unconscious due to the immense amount of power she'd used, a fellow homeless child pulled her from the street and nursed her back to health with what little knowledge she had. Sadly, Alexa had to leave the friend behind to keep her safe and moved on. She was soon approached by an American man who spoke to her and offered her a place at Xavier's school for gifted youngsters, which she quickly took up once she was told what it was. The idea of her controlling her power was incredible to her and though she hated the flight to America and the clingy scratchy clothes she'd been put in, she saw it all as worth while. After many years at the Academy, she was deemed able to go out and do as she pleased which she did. Alexa left the school with newfound knowledge and a plethora of languages on her tongue, she was soon contacted by two people claiming to be her parents. They offered her money and a home, or at least a chance to see their daughters face once more. They explained they never wished to send her off but they didn't have any other options, and Alexa said she understood and met up with the French couple. After many meetings, her family moved permanently to America and opened a cafe where Alexa works though she spends most of her time working on her depression which is now incredibly minor. She met the others through certain jobs she took up and is closer to Kamala than she is Novus due to reasons she hasn't cared to explain yet. Elongation: Kamala can extend her limbs, torso, or neck to great distances. Size Alteration: Kamala can through unknown means, adjust her height and stature adding upon her already impressive physical abilities. Either shrinking to the size of an action figure to growing as tall as a building structure. Accelerated Healing Factor: Kamala is capable of rapidly healing from injuries such as bullet wounds. However, use of her other powers interrupts the healing process, requiring Kamala to maintain her normal appearance while recovering. Extensive healing also leaves Kamala heavily-fatigued and hungry. However, it appears the more she utilizes her healing ability, the less malleable her cells become, which prevents her from using the full range of her morphogenic abilities. Bioluminescence: Kamala's body emits a glowing yellow energy signature when using her morphogenic powers. 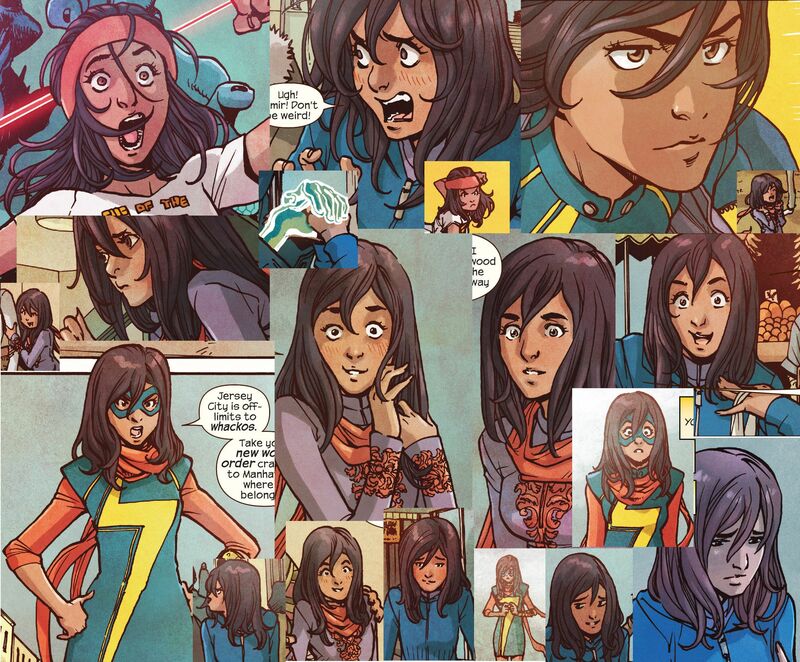 Appearance Alteration: Kamala possesses the power to alter her physical appearance including her hair and clothing, and could even alter her appearance enough to mimic inanimate objects. Ms. Marvel feared she had lost this ability due to her healing factor reducing the elasticity of her cells, but this power is still present and is used on rare occasions, such as when she impersonated James Rhodes during a conversation with Tony Stark. Rage Enhancement: Recently, Robbie Reyes's Ghost Rider demonstrated the ability to enhance his form by the rage fueling his powers. Through killing and punishing criminal he encounters, he transforms into a more powerful demonic figure. This is firstly evident from the scars carved in his head. It will effect the his body physically and, in human form, medically. Penance Kiss: When bonded with a symbiote, he possesses a penance ability capable of examining the righteous traits of an individual as well as absorbing it's soul and eating it's sin. It is unknown how he obtained this ability due for not being a true Spirit of Vengeance. 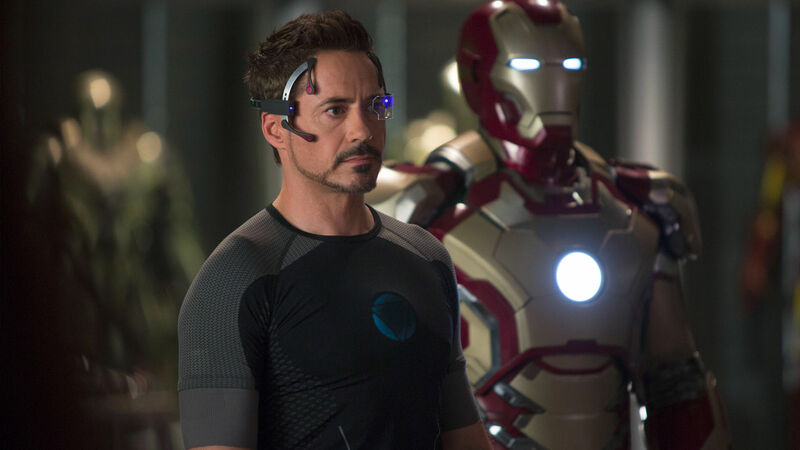 Personality: Everyone knows Iron Man. -Advanced cloaking tech, it feels solid and won't glitch. He can look like anyone or just go invis. Plus he can do voices. -Able to repair himself if need be. One more thing is he has his exo suit and his endo body. The endi body is much less protected but the actual parts of him like the brain and limbs while the exo suit is more appearance and armor. And in a tight spot he can shoot his endo body out of it. Guest and Band, he made some special instruments he controls that self play. 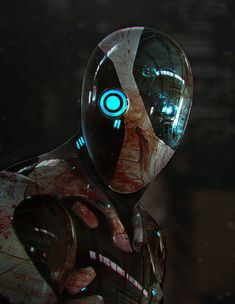 Backstory: Built as a simple robot meant to be able to be undefeated and kill Deadpool, upon activation he killed his creators for being d*cks and over the years he evolved himself to the point he is now and is still a sociopath, he just dosen't act on it much because of Novus and the others. Btw buck, Kamala would have made sure to give him a serious warning to not say anything inappropriate during the wedding or she would kick him out. Wall-Crawling: Spider-Man's exposure to the mutated spider venom induced a mutagenic, cerebellum-wide alteration of his engrams resulting in the ability to mentally control the flux of inter-atomic attraction (electrostatic force) between molecular boundary layers. This overcomes the outer electron shell's normal behavior of mutual repulsion with other outer electron shells and permits the tremendous potential for electron attraction to prevail. The mentally controlled sub-atomic particle responsible for this has yet to be identified. This ability to affect the attraction between surfaces is so far limited to Spider-Man's body (especially concentrated in his hands and feet) and another object, with an upper limit of several tons per finger. Superhuman Speed: Spider-Man is capable of running and moving at speeds that are far beyond the natural physical limits of the finest human athlete. Spider-Man has shown to be fast enough to catch up to an accelerating car while on foot, but prefers to travel by webs. [Spider-Man moves faster than the eye can follow, he has even moved so fast he appears as a blur. Superhuman Durability: Spider-Man's body is physically tougher and more resistant to some types of injury than the body of a normal human. His body is more resistant to impact forces than anything else. He can withstand great impacts, such as falling from a height of several stories or being struck by an opponent with super strength. Events which would severely injure or kill a normal human, leave him with little to no discomfort. In the past, he has survived multiple blows from the likes of The Hulk, as well as surviving a point-blank missile explosion. Spider-Man's body is durable to the point where tensing his super-strong muscles while being punched in the torso by a trained heavyweight boxer caused the attacker's wrists to break. Spider-Man has stated that he must roll with punches thrown by people without similar strength or durability, in order to avoid breaking their wrists. Regenerative Healing Factor: Spider-Man's increased metabolism allows faster healing. While not on Wolverine's level, it is sufficient enough to recover from severe injuries like broken bones or large amounts of tissue damage in a matter of several days. After getting his powers, he soon found that his eyesight was repaired, discarding his glasses. Spider-Sense: Spider-Man possesses an extrasensory "danger" or "spider" sense which warns him of potential immediate danger by the manifestation of a tingling sensation in the back of his skull, and links with his superhuman kinesthetics, enabling him to evade most any injuries, unless he cognitively overrides his automatic reflexes. The precise nature of this sense is unknown, though the Master Weaver states it is enabled by his connection to the Web of Life and Destiny. It appears to be a simultaneous clairvoyant response to a wide variety of phenomena (everything from falling safes to speeding bullets to thrown punches), which has given several hundredths of a second warning, which is sufficient time for his reflexes to allow him to avoid injury. The sense also can create a general response on the order of several minutes: he cannot discern the nature of the threat by the sensation. He can, however, discern the severity of the danger by the strength of his response to it. Spider-Man's spider-sense is directional and can guide him to or away from hidden weapons and enemies. Sudden and extreme threats can cause his spider-sense to react with painful intensity. Spider-Man can also sense and dodge attacks directed randomly or by an artificial intelligence. 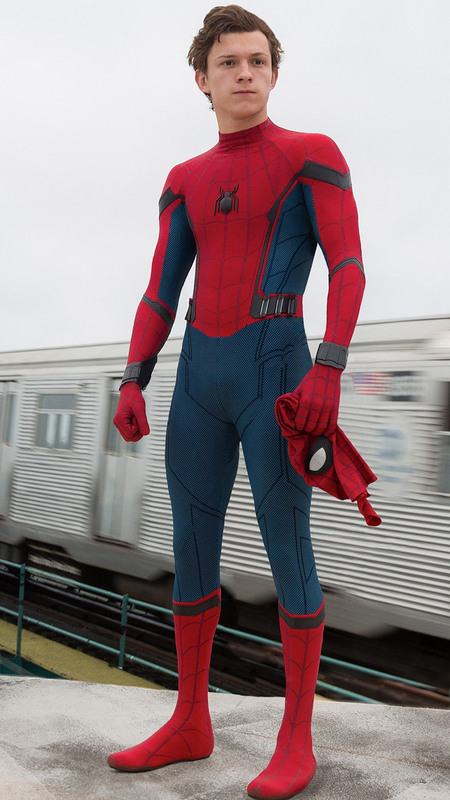 Using his spider-sense to time his enhanced reflexes, Spider-Man can casually dodge attacks up to and including automatic-weapons fire, provided there is sufficient distance. His spider-sense is sufficiently well-linked to his reflexes to the point that a threat can trigger them even when Spider-Man is asleep or stunned. His spider-sense has helped him preserve his secret identity since it alerts him to observers or cameras when changing into or out of his costume. The spider-sense does react to those who Peter does not consider to be a threat, such as Aunt May, or when a fellow hero makes a bluff while playing poker. Spider-Man can choose to ignore his spider-sense, and distraction or fatigue diminish its effectiveness. Spider-Man's fighting style incorporates the advantage that his "spider-sense" provides him. His body begins to produce more adrenaline after the sense is triggered, an extension of the 'fight or flight syndrome.' Even when he does not have the use of his eyes, Spider-Man can still use his Spider Sense in a similar fashion to Daredevil's Radar Sense to help him see by sensing the direction the danger is coming from by listening on the loudest noise around him. Expert Inventor/Engineer: With his knowledge and expertise in mechanics, robotics and engineering Peter has been able to use his amazing intellect and resources at Horizon Labs to create many inventions such as the four Spider-Armors, the Spidey Stealth Suit, his famous Web-Shooters, the Cryo-Cube 3000 and the noise reduction headphones. Master Hand-to-Hand Combatant: Due to his life being bullied and pranked as a young teenager to acquiring amazing superhuman capabilities and combining them with his scientifically adept and creative mind, Parker has through time become an excellent hand-to-hand combatant utilizing a fighting style that directly complements his superhuman abilities. His methods are volatile, enabling him to rival practically all types of combatants. Peter has been trained by Captain America in unarmed combat. Peter is an awkward teenager and a total f-cking nerd. Spiderman does jokes and bes sarcastic. Genetically Enhanced Physiology: Deadpool's powers come from the experimentation he was submitted to by the Weapon X program. Regenerative Healing Factor: Deadpool possesses a superhuman healing factor derived from that of the mutant Wolverine that allows him to regenerate damaged or destroyed bodily tissue with far greater speed and efficiency than an ordinary human. 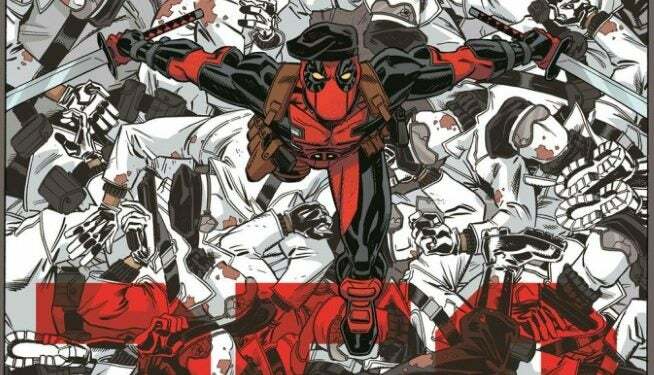 Deadpool is able to heal from injuries such as slashes, puncture wounds, bullet wounds, beheading, and severe burns within moments. His healing factor is significantly more powerful than Wolverine's as he can regrow missing limbs and organs and was able to recover after the Hulk liquidated everything from his waist up. His head or any other limb can be reattached using this ability. [ Even though being beheaded, Deadpool can still move his body normally. [ Unlike Wolverine's natural healing factor, Deadpool's is mentally driven to a partial extent. Foreign Chemical Resistance: Deadpool's body is highly resistant to most drugs and toxins. For example, it is extremely difficult, though not impossible, for him to become intoxicated (Blind Al made several references to Deadpool being hung-over since he once drunkenly spoke to the Teletubbies on the TV he was watching). He can, momentarily, be affected by certain drugs (tranquilizers) if exposed to a large enough dosage. Disease Immunity: The unique regenerative qualities of Deadpool's healing factor also extend to his immune system; he is immune to all diseases, infections, disorders, imperfection, and resistant to elemental extremes. Telepathic Immunity: The healing factor causes his brain to be in a constant state of flux and regeneration, rendering him immune to psychics such as Cable, Emma Frost, and the Red Onslaught. Enhanced Strength: Deadpool is rated as having a superhuman level of strength, capable of lifting 2 tons. Enhanced Speed: Deadpool can easily reach speeds of 80 mph, and attack faster than the eye can follow. Superhuman Stamina: Deadpool's musculature generates considerably less fatigue toxins than the muscles of an ordinary human being, granting him superhuman levels of stamina in all physical activities. He can physically exert himself at peak capacity for several days before fatigue takes over. Superhuman Agility: Deadpool's agility, flexibility, dexterity, balance, and bodily coordination are enhanced to levels that are beyond the natural physical limits of even the finest human athlete. Superhuman Reflexes: His reflexes are far superior to those of even the finest human athlete. His auto-reflexes allow him to easily dodge gunfire and attacks even when not consciously aware of them. Superhuman Durability: Deadpool's bone and muscle tissues are augmented to levels that are considerably stronger and harder than human and the tissues are impervious to injury to an extraordinary extent. He possesses golden-proportioned body, and even without training his muscles are brawny and his body shape doesn't change no matter how many calories he intakes. Master Martial Artist: Deadpool is an extraordinary martial artist, hand-to-hand combatant, and is a master in multiple unarmed combat techniques. He has been shown fighting such amazingly skilled fighters as Wolverine and Taskmaster and even defeating them in hand to hand combat. [ This shows that Deadpool himself is among the most skilled fighters in the Marvel universe, although in some fights it has been attributed to him being unpredictable. Master Assassin: He is a master of assassination techniques, espionage methods, covert operations, infiltration methods, escape artistry, marksmanship, and is highly skilled with many bladed weapons (frequently carrying two swords strapped to his back) and a number of other weapons including firearms. Multilingual: He is fluent in Spanish, Japanese, German, Russian, and Esperanto. Medium Awareness: Possibly as a result of his mental state, Deadpool is aware that he is a fictional comic book character, allowing him to break the fourth wall. Wade doesn't possess this ability at all times due to the constant changes in his brain. References to the fourth wall made by those with similar abilities to him can trigger his medium awareness. Unpredictability: It is difficult for anyone to know what Deadpool will do at any given moment, given that he himself barely knows what he'll do at any given moment. This makes it difficult for most opponents to predict what he will do. Btw, Kamala would have made sure to give him a serious warning to not say anything inappropriate during the wedding or she would kick him out. -Can reconfigure his DNA into different forms so he looks like anyone. He also gets all they're physical traits and some abilities. -Splits and creates a duplicate that starts as a half and then generates the rest of its body. Personality: Calm and collected with a single voice that is heard by his eyes glowing when he speaks. Backstory: An experiment of Roguebot's creators to create a killing machine, when it turned out he didn't want to they abandoned him. He became a vigilante of sorts doing good if he could. @AtticCat, @Last_Link and @Streako if you're interested. I'm a little burnt out on Marvel, so I'll be taking a pass. Sorry!